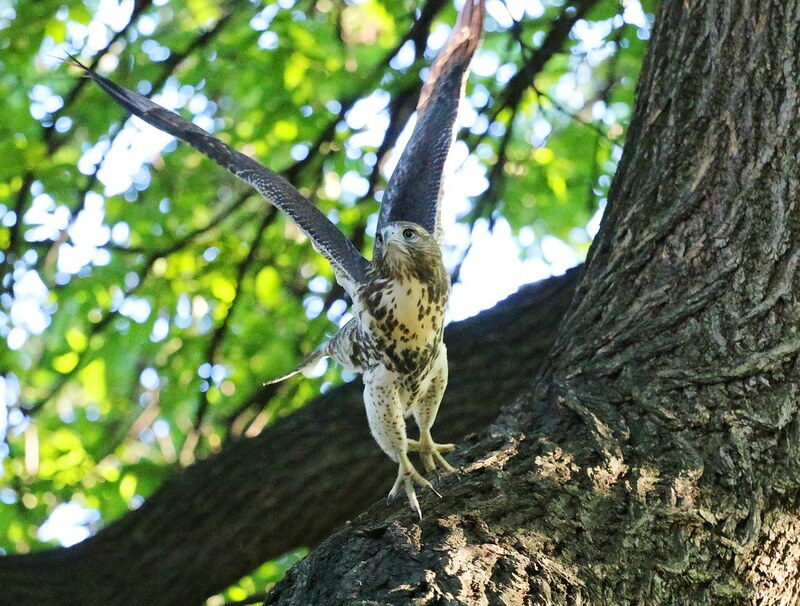 After the upsetting discovery of a dead young hawk at Astor Place last Thursday, I was really happy to find two of the Avenue A fledglings in Tompkins Square on Friday. 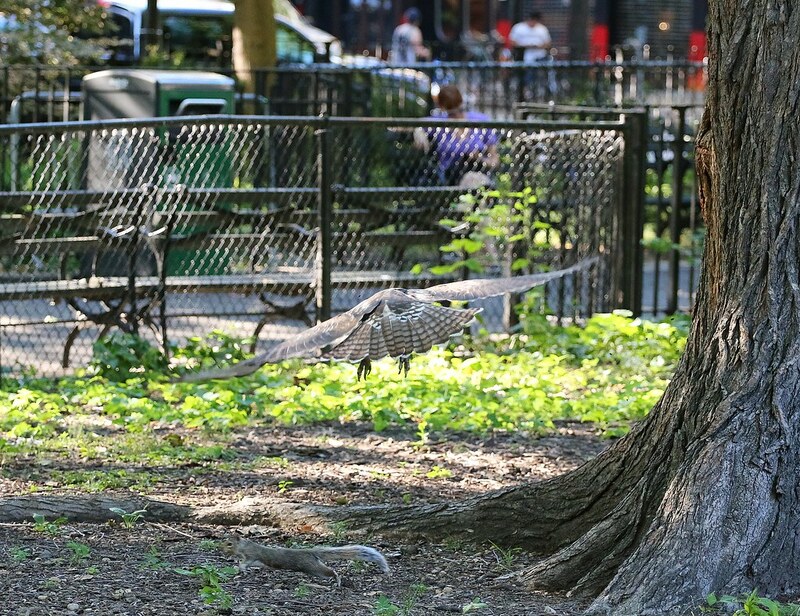 One stayed hidden high in the trees near the chess tables in the SW corner, but cried out periodically. 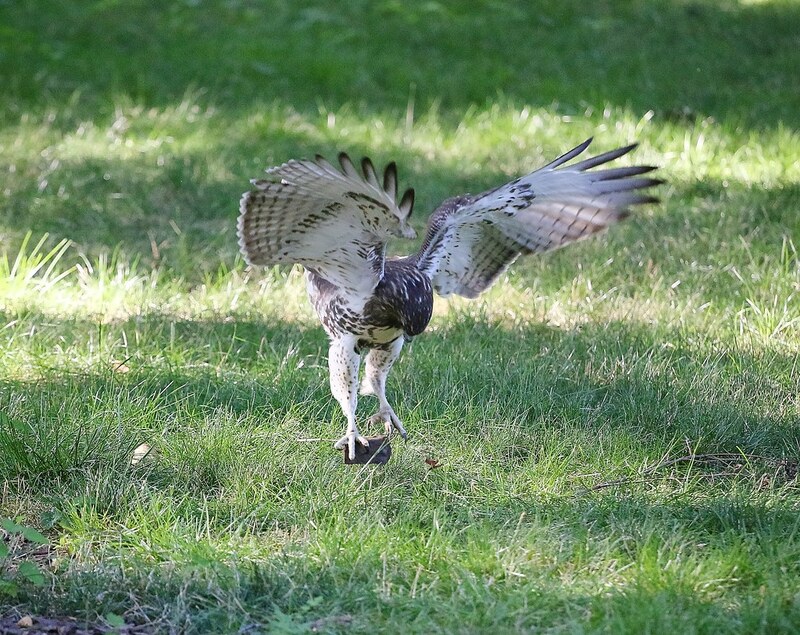 The other remained close, playing in the grass and swooping around that part of the park. 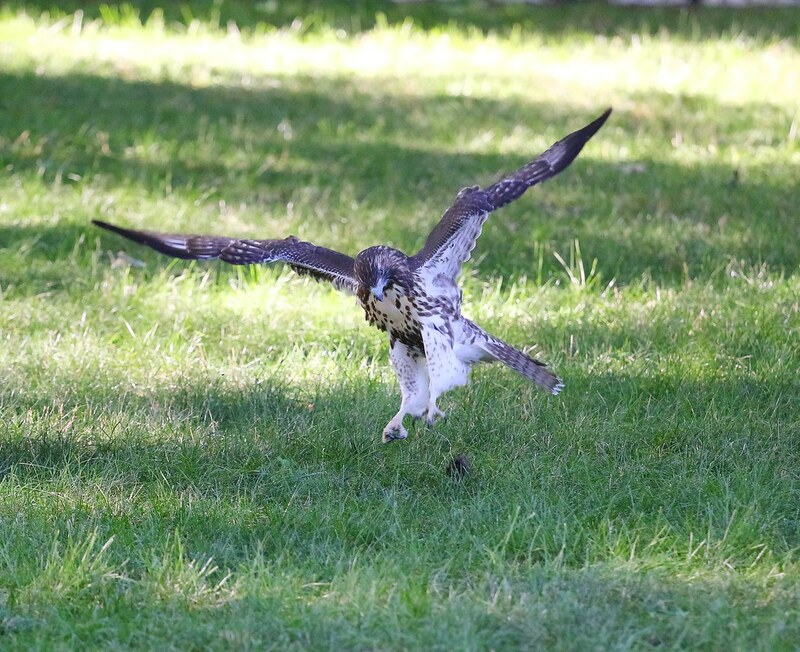 As it was a hot sticky day, the fledgling did a lot of panting and drooped its wings. 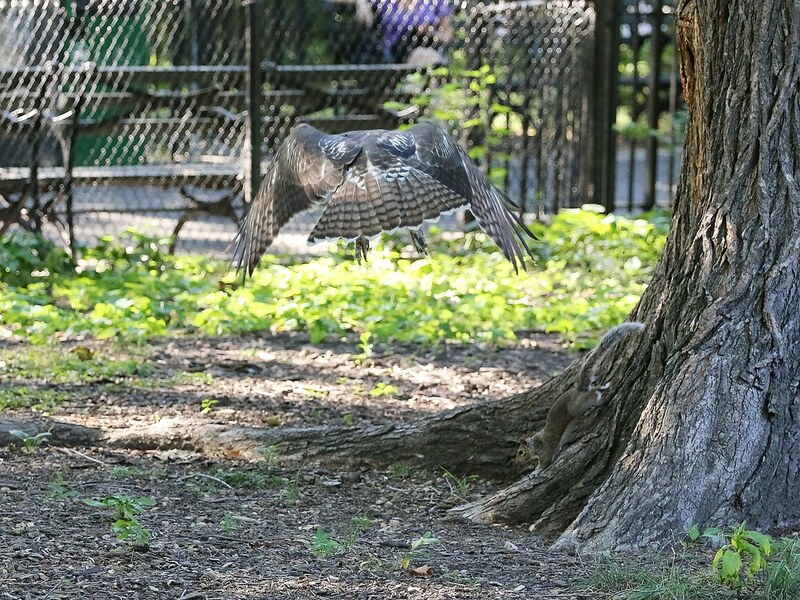 This hawk really took an interest in the park squirrels, who mostly ignored the bird. One, however, nearly ran into trouble. 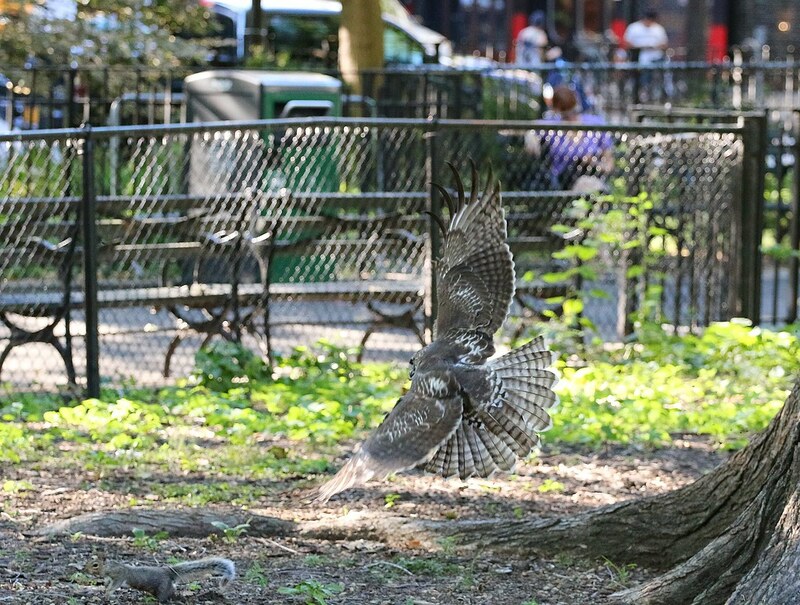 At one point (too quick for my camera), the hawk tapped the squirrel on the back with its talon, but was unable to catch it. A piece of wood proved to be easier prey. 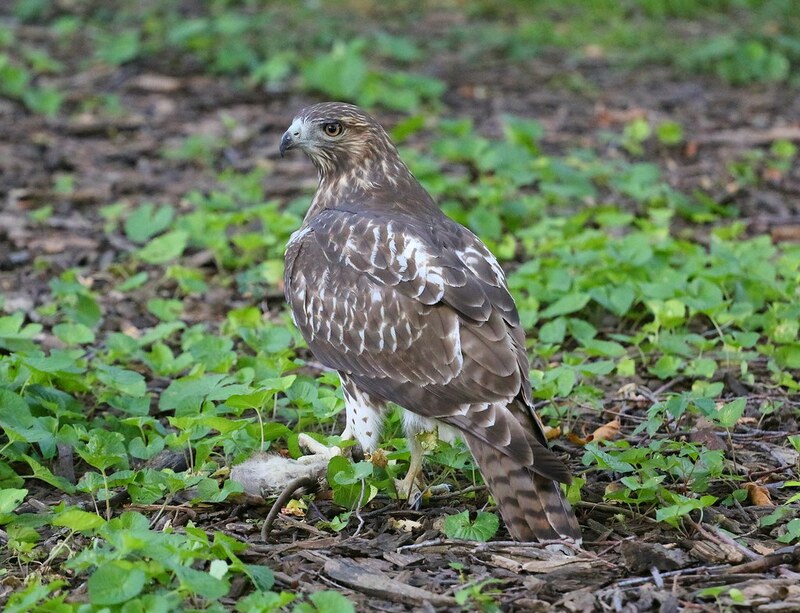 All that playing around worked up an appetite, so the hawk dug up an old rat that was lying in the grass and had a late afternoon snack. I don't know where the rat came from, but it's likely dad Christo left it there earlier in the day. 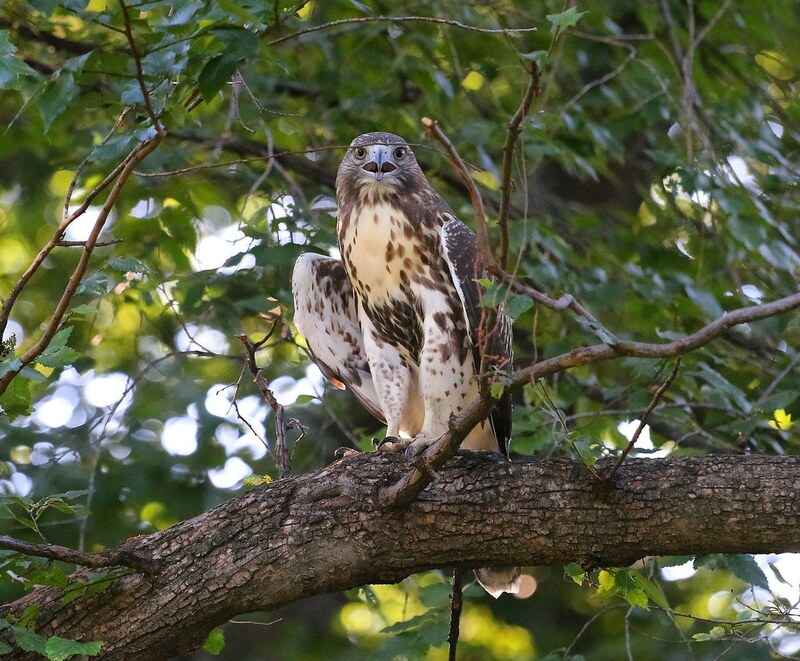 I haven't heard anything yet about the dead hawk, so we still don't know who it is. 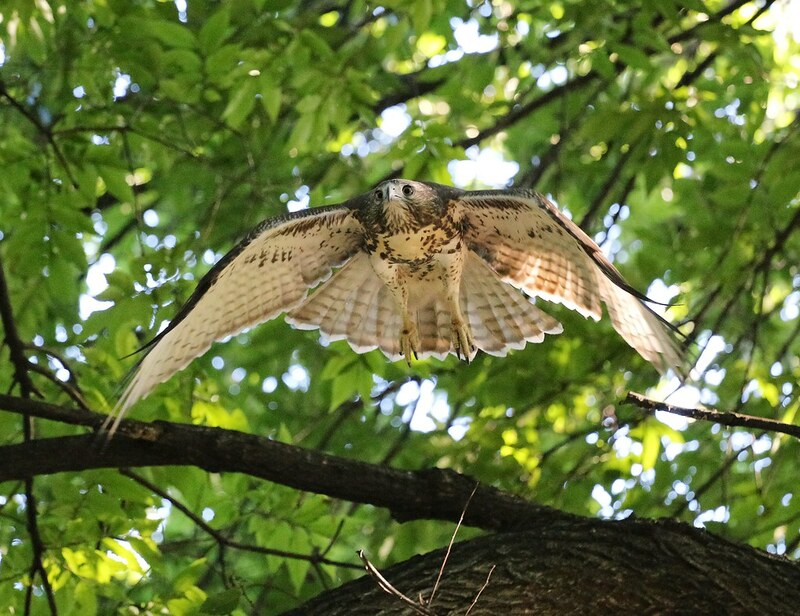 I did see a fledgling perched on Most Holy Redeemer church on E 3rd Street, and later flying around Houston Street the same day I saw the hawks in the park, but I'm not sure if that was the third fledgling, or if it could have been one of these two. Dora has been on the church the last two days, so that leads me to believe she's watching over her kid/s in that immediate area. But, again, I'm not sure if all three fledglings have been accounted for yet.